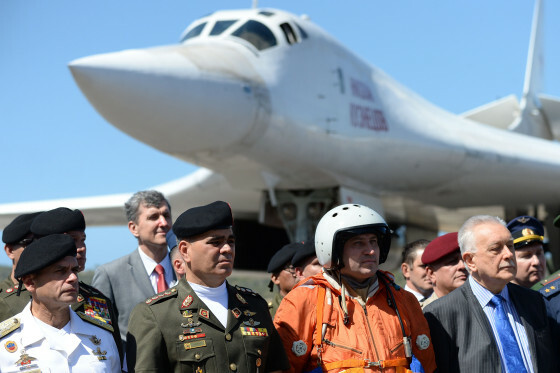 Russia’s Defense Ministry said a pair of Tu-160 bombers landed at Maiquetia airport outside Caracas on Monday following a 6,200-mile flight. It didn’t say if the bombers were carrying any weapons and didn’t say how long they will stay in Venezuela. The Tu-160 is capable of carrying conventional or nuclear-tipped cruise missiles with a range of 3,410 miles. 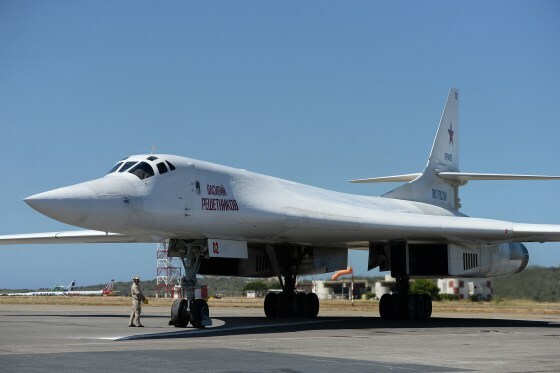 Such bombers took part in Russia’s campaign in Syria, where they launched conventionally-armed Kh-101 cruise missiles for the first time in combat. Russia-U.S. relations are currently at post-Cold War lows over Ukraine, the war in Syria and allegations of Russian meddling in the 2016 U.S. election. Russia has bristled at the U.S. and other NATO allies deploying their troops and weapons near its borders. “Contrast this with Russia, whose approach to the man-made disaster in Venezuela is to send bomber aircraft instead of humanitarian assistance,” Manning said.